Want to sell on Amazon? Forget about the painful process of dealing with shipping products for your customers. Amazon can do that for you using their FBA program. Continue reading my Amazon Boot camp V3.0 Review and see if it will save you the pain. A complete guide to show one how to sell on Amazon. The training is based on a series of video courses that show one how to make money online by having An Amazon FBA business. Jessica is ready to teach you how to make a full-time income by selling staffs on Amazon. It is the model She is using to make a living for her family. Jessica is the person behind Amazon Boot Camp. She was before an e-bay seller before thinking of creating The Selling Family. She never had any major breakthrough so she had to continue with her day job which could not sustain all her needs and that of her family. She started on e-bay but still, this could not make her stay at home with Aiden. The process was complicated due to shipping and the likes. She continued with this only to realize that there was a cheaper way. ” Could there be a cheaper ways Tony?” You may ask. She Discovered FBA ( Fulfillment by Amazon) and everything changed afterward. Since 2011, Jessica, Cliff(her husband) and her family are have been making SIX FIGURES selling on Amazon using the FBA program working less than 20 hours a week. The Selling Family has all the time to spend with family and friends. But why are you here? Jessica and Cliff are willing to share the techniques that they used to Make their First SIX FIGURE online. They have a series of super quality training to help anyone who is interested in selling on Amazon using FBA. 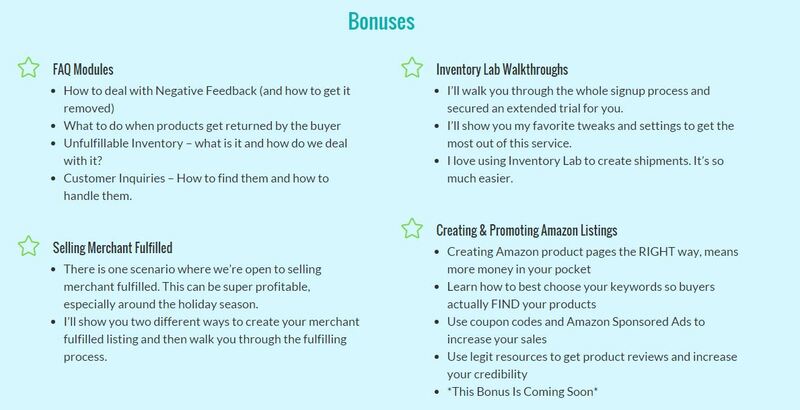 What to Expect When You Buy Amazon Bootcamp Today! Some bonuses were added recently to supplement your purchase. Frequently asked questions which give light newbies. Available Scanning App for FBA business and how to use it. Guide on where to find products for good prices. Timely support within the group. There are some Free training modules before you buy. The price can be broken into 3 payments. For only $297, you get lifetime access. Finding specific information can be difficult since it is a video only training. The price tag is expensive for some people. With Amazon, you must invest upfront. So, prepare your wallet! 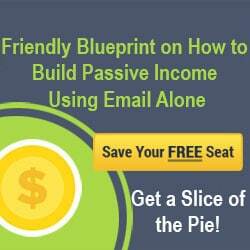 Grab this FREE Report & Learn Exactly How this Business Model Works! 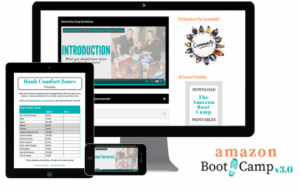 Who is Amazon Boot Camp V3.0 For? As I mentioned during the introduction, Jessica is a former Amazon seller. Amazon Boot Camp V3.0 is For those who want to shift from E-bay to Amazon due to shipping expenses. It is also for those who want to make money online through selling on Amazon. Most people have tried it and failed due to lack of training or resources. Sourcing for products in person. What I found more interesting are the bonuses. Check them out. There is ONLY two Main Prices. You can either buy it for $347 or pay it in 4 months for $99 each month. It is completely up to you. 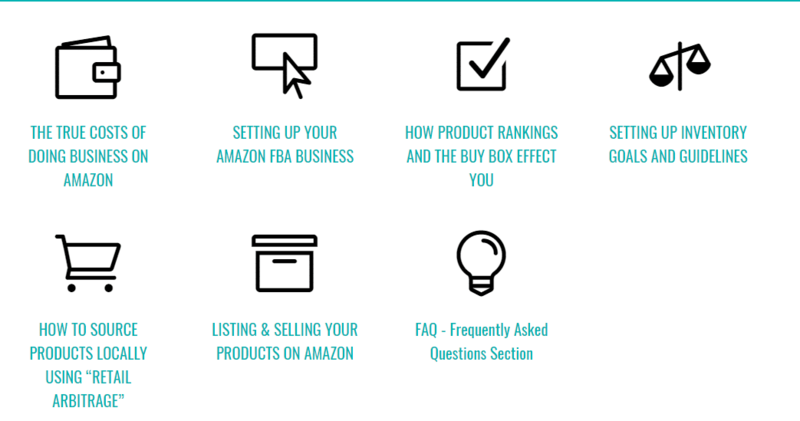 Amazon Boot Camp makes having an FBA business easy with the Training modules. In addition, you will copy what the founders did to make their SIX FIGURE online. With the increased number of online shoppers, there is almost a 100% guarantee that you'll profit if you use the training to $tart your Amazon FBA Business. Get Amazon BootCamp V3.0 Now! Amazon BootCamp is an Alternative to Amazing Selling Machine which is now closed. Amazon boot camp is cheaper than Amazing Selling Machine. If you are new to Internet marketing and do like the idea of selling on Amazon, the Wealthy affiliate is also an option. It shows you how to build a website, grow any online business and make more money even if you are a complete newbie and never made a dollar online. It is no longer Available. Amazon Bootcamp is the Most Affordable, Quality Amazon Training and Worth every cent. Thanks for checking Amazon boot camp v3.0 Review by Jessica Larrew aka the selling family. Do you have any questions or experience with Amazon Boot camp? Share your testimonial with us. 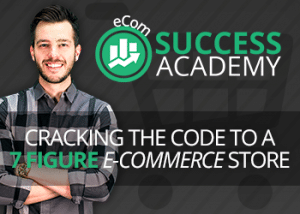 Zero Up Review: Can You Really Build a 6-Figure eCommerce Business? Amazing Selling Machine 9: Will if Force Your to Build a Profitable Amazon Business Fast? FBA has been in business for a long time. It is hard for it to end in the near future. Remember, the number of buyers is also increasing Silimi. If something is saturated, it means there are buyers. Why not get a slice of the pie? It’s unfortunate Kam Fatz from Adventures on the River closed the program to NEW members. He Now direct new members to EpicConvertions. I feel wealthy affiliate remains the best place since they have been in business for over 10 years now. Hello there Tony , it’s interesting to find a cheaper alternative on the Amazing selling machine , which I find it is pretty expensive. I have to further investigate those free videos to have a better understanding of what is included. Amazon has a great reputation and co-operating with this colossus can be proved valuable for any entrepreneur. Thanks for this review , cheers. Thanks for a clear explanation of Amazon BootCamp. Fulfilled by Amazon is a business model I’ve been interested in for a few years, but I’ve gotten the impression that it’s saturated. What do you know about that? It seems the people who make big money with it somehow get a control over the product they sell. If you have been willing to learn about the FBA model of business, then Amazon Bootcamp is the best alternative for you. The training is quality and the support is supurb. Why are you thinking it is saturated? You can dominate anywhere if you are ready to learn. The online market never gets saturated. Am always happy when I give honest reviews. Biased reviews will chase away my visitors. I want them to find it easy to make decisions before they purchase. For those looking forward to making money with amazon, they can give it a shot. The reason why I recommend wealthy affliate more is only that it is more affordable. Upon visiting your post on Amazon Bootcamp, I must say that the overall review was straightforward and the message very clear. I don’t feel that anything was left out. The visuals also made the subject more interesting. Once or twice you mixed up the Amazon Bootcamp and Ebay ( Look under: Who is Amazon Bootcamp V2.0 for?). That needs some correcting for after all you don’t want to confuse your readers. Tony, you’re doing a good job here. Carry on. That is exactly what I meant Lina. There is no mistake in that. Amazon Bootcamp is for people who want to shift from E-bay to amazon. The FBA program make things easier!